YOUR DONATIONS MAKES IT ALL POSSIBLE! 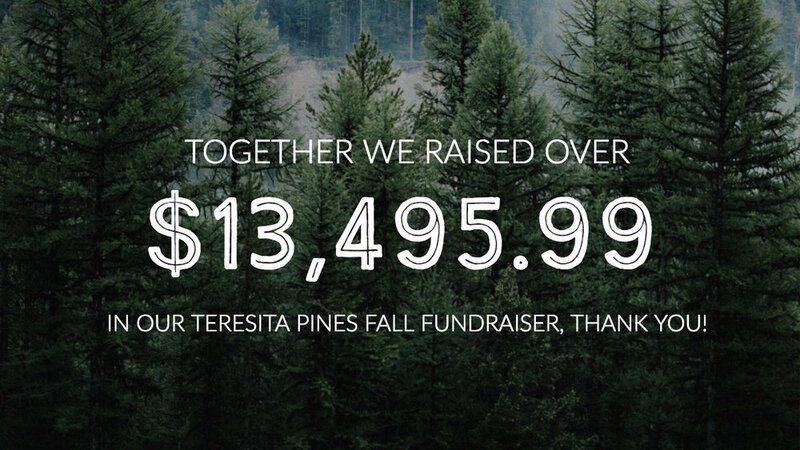 Our original goal was $10,000 but in the end, together we raised over $13,495.99 in our Teresita Pines Fall Fundraiser, Thank you! It's your continued support of our Lions Camp that makes everything we do possible from hosting the Sight Awareness Weekend, Lions Wilderness Camp for Deaf Children and so much more. It’s through your donations that allow our camp to continue to serve so many children with disabilities and gives everyone the opportunity to experience the joys and friendships that come from camp. We are proud to continue to represent the Lions club motto We Serve and make Camp truly accessible to all regardless of disability. 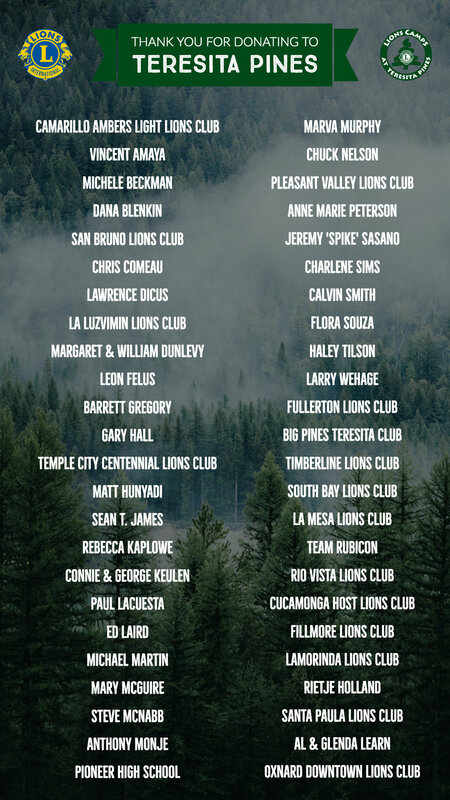 We thank you for your continued support of the Lions Camps at Teresita Pines! And Many More, including Anonymous Donors, Thank You!